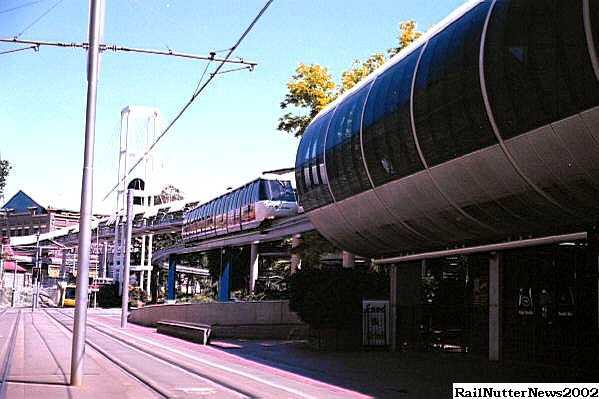 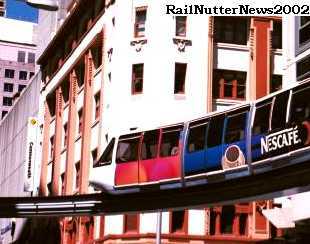 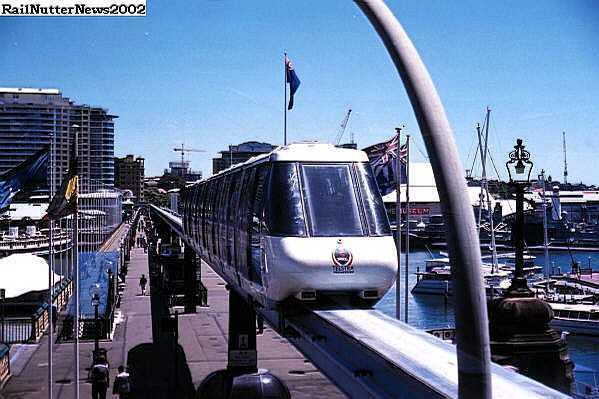 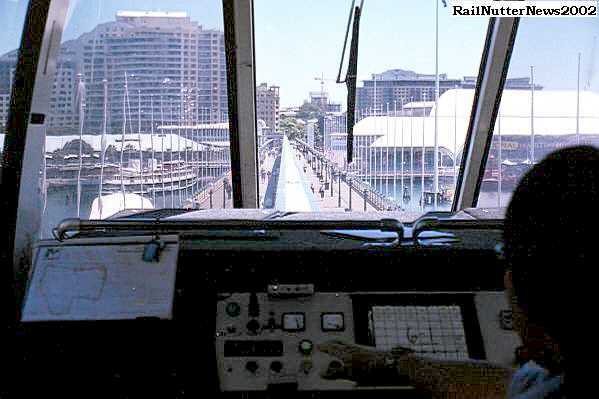 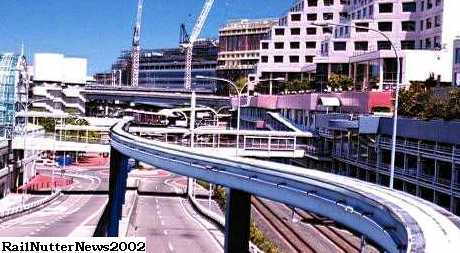 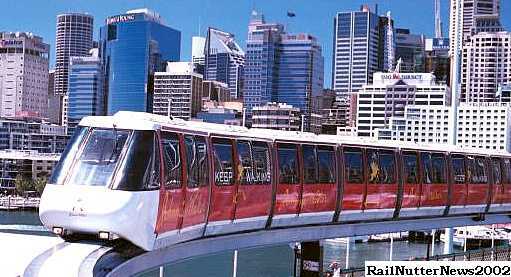 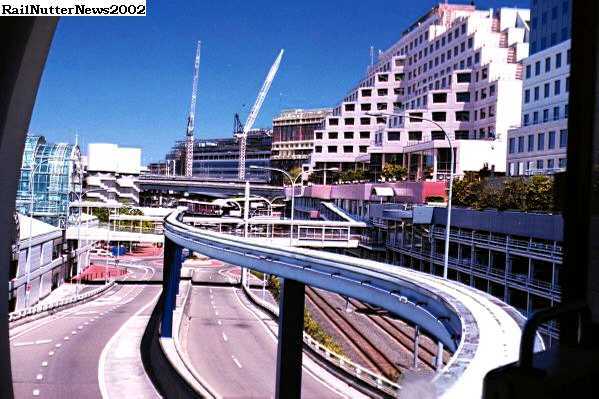 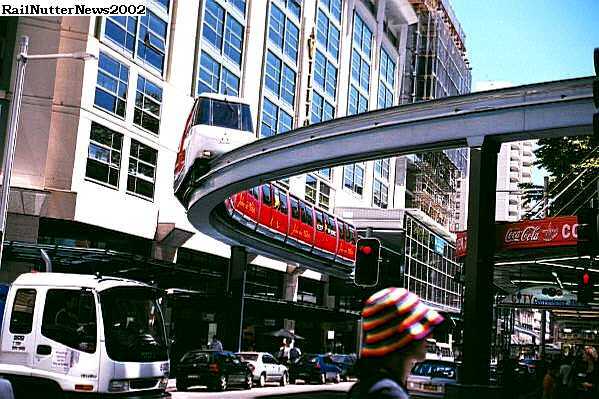 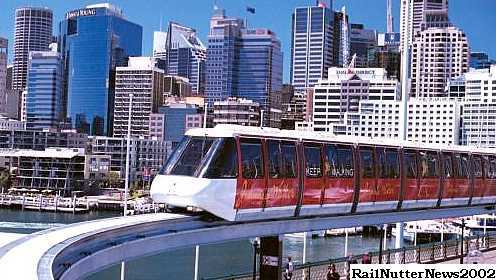 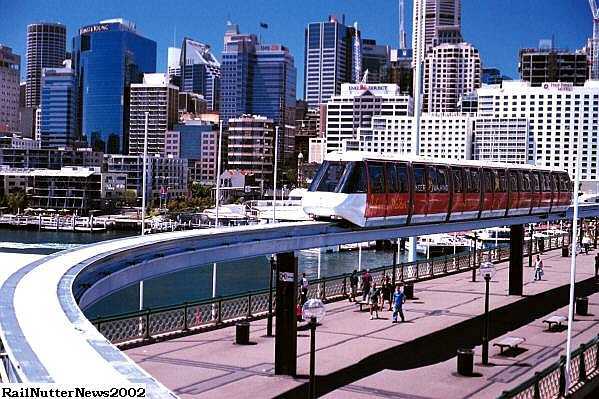 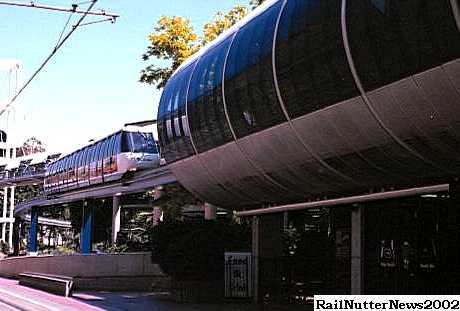 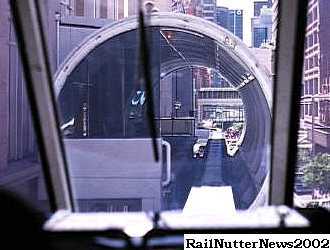 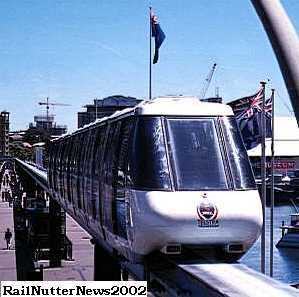 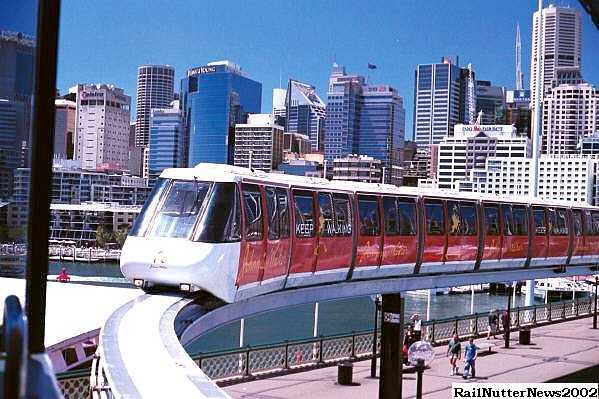 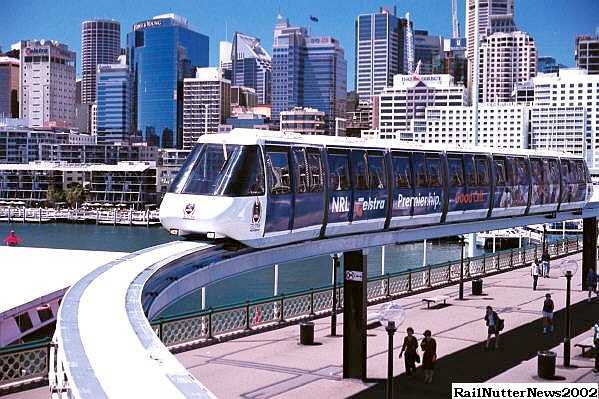 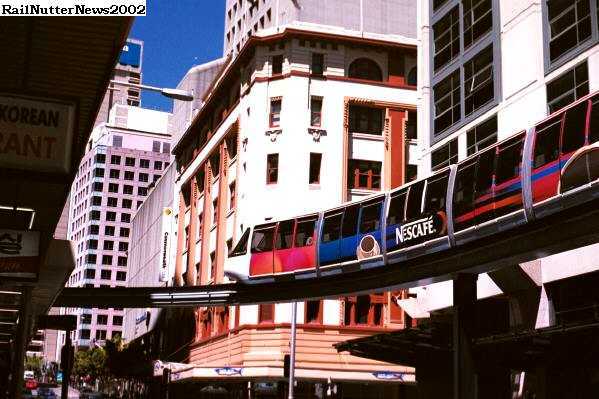 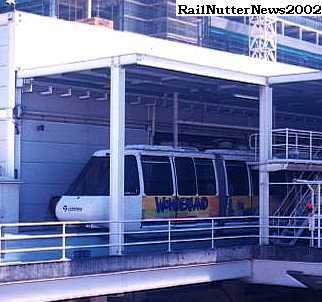 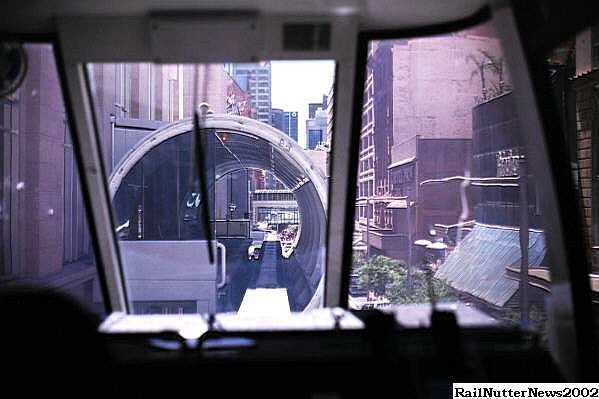 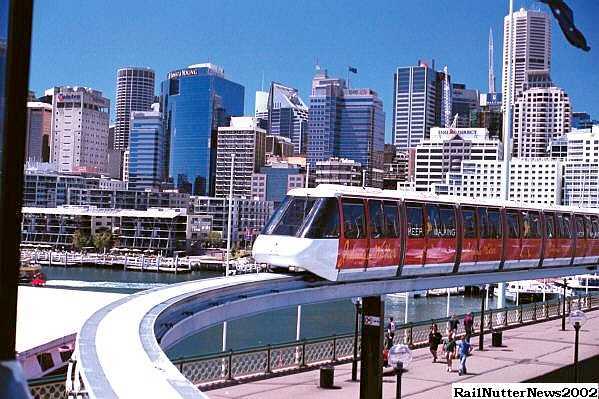 The Sydney Metro Monorail is one of the most modern spectacular inner urban transit systems found, winding its way through the heart of Sydney, Darling Harbor and over the Pyrmont Bridge in a 3.8 km loop. 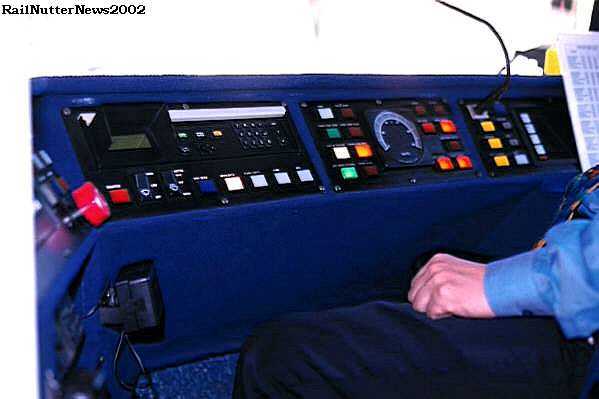 Multiple fail safe systems automatically operate the system with back-up drivers and controllers. 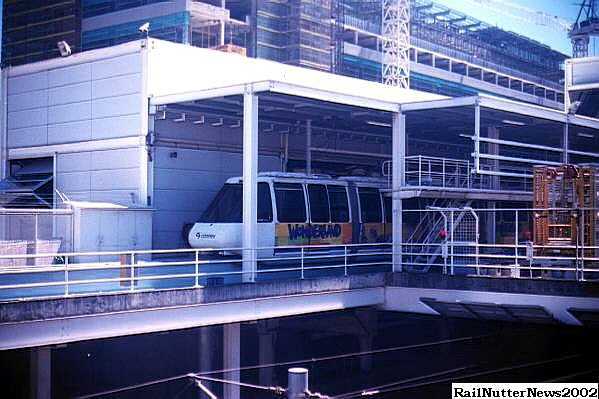 In operation since 1988, it is privately owned and operated. 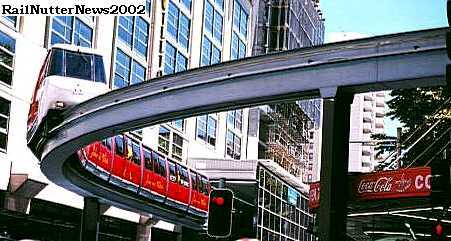 Traveling from Sydney's Central Station, through the heart of the City, looping around the the harbor quays, and west to Lilyfield, the 6.7 km Metro Light Rail provides a transit link to the suburban and interurban train station as well as with the Monorail system at the Haymarket Station (above) and Convention stop. 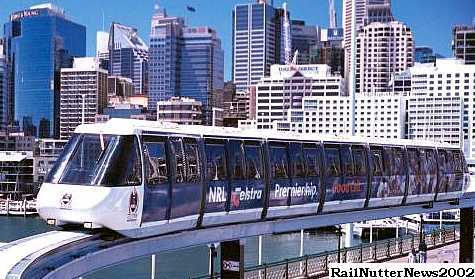 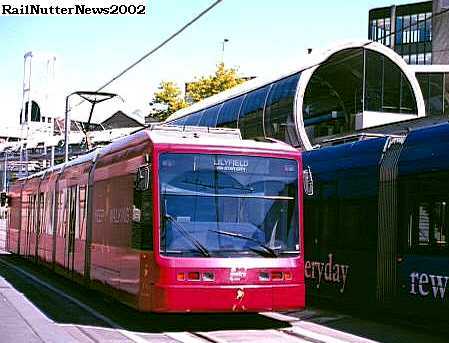 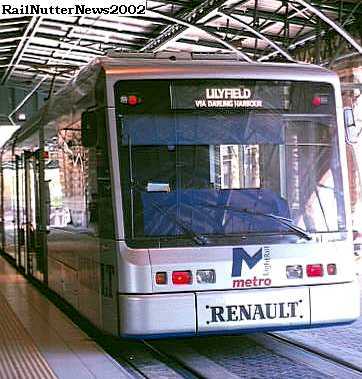 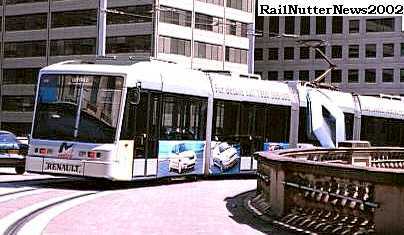 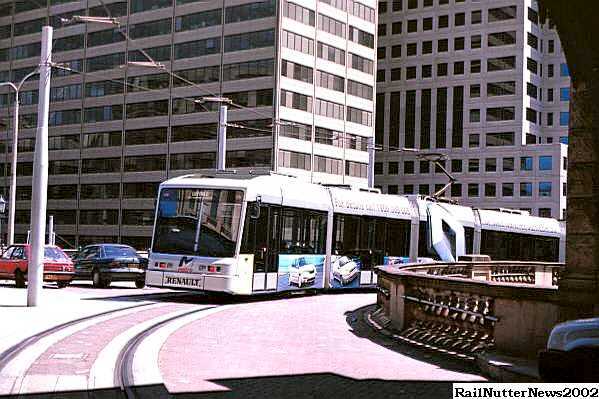 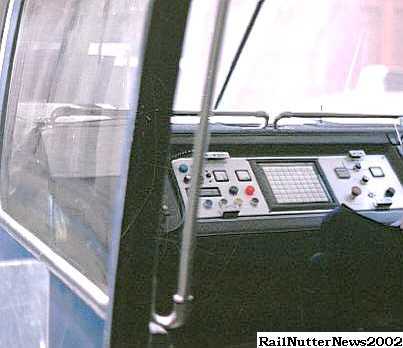 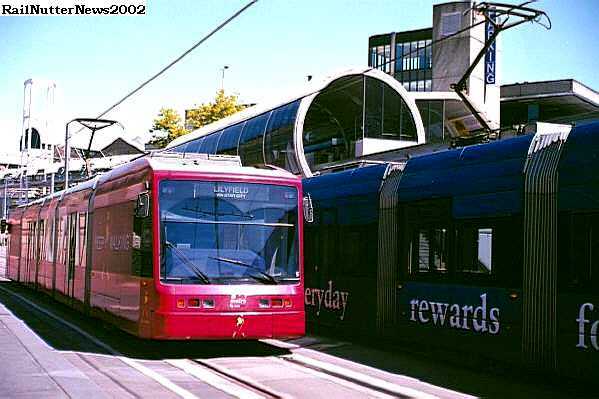 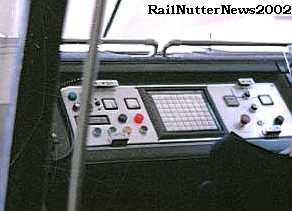 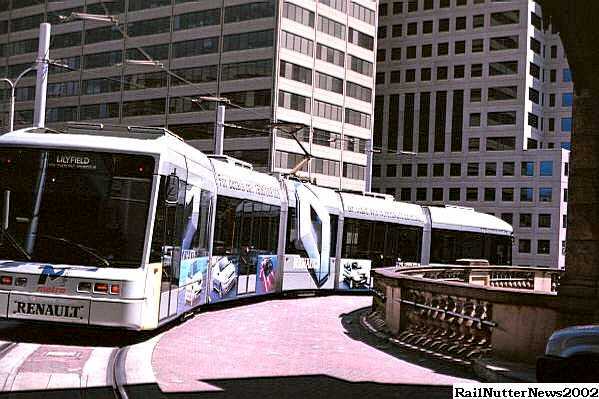 Known as the 'City Tram' to some, it is in fact a light rail system generally using 5 cars per train. 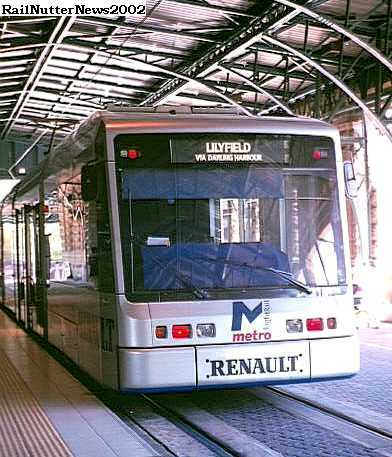 It can travel at up to 80 km/h although on city streets the norm is closer to 20 km/h. 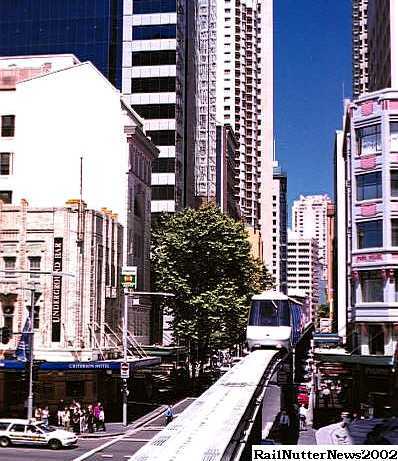 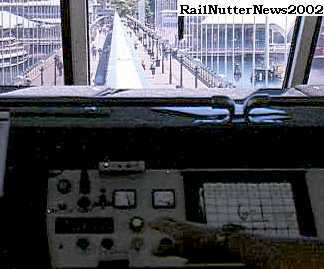 Unlike some other Australian cities, Sydney did not preserve its original tram system. 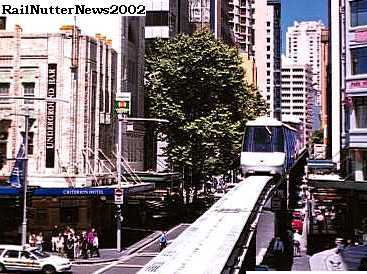 The last original Sydney tram line closed in 1958.